The public is invited to a new exhibition at the Sculpture Barn at David Boyajian Sculpture Studio in New Fairfield, Connecticut: ‘The Painted Narrative’ will feature over 60 dream-like landscapes by South Portland, Maine painter Kate Winn. This momentous exhibition will be the first solo show in many years for Winn. A reception for ‘The Painted Narrative’ will be held at the Sculpture Barn on Saturday, October 24, from 2:30 to 6pm. David Boyajian Sculpture Studio is a fully equipped metal fabricating studio and four-acre sculpture field located at 3 Milltown Road in New Fairfield, Connecticut, owned previously by sculptor Mike Nevelson, son of Louise Nevelson. The Sculpture Barn is the studio’s 3,000 sq. ft. gallery space. At the studio, owner and master sculptor David Boyajian, a widely exhibited and commissioned artist instructor, offers classes in metal, stone, and wood sculpture as well as bronze casting workshops. Classes range from four to 12-week curriculums. Kate Winn is a painter from South Portland, Maine. 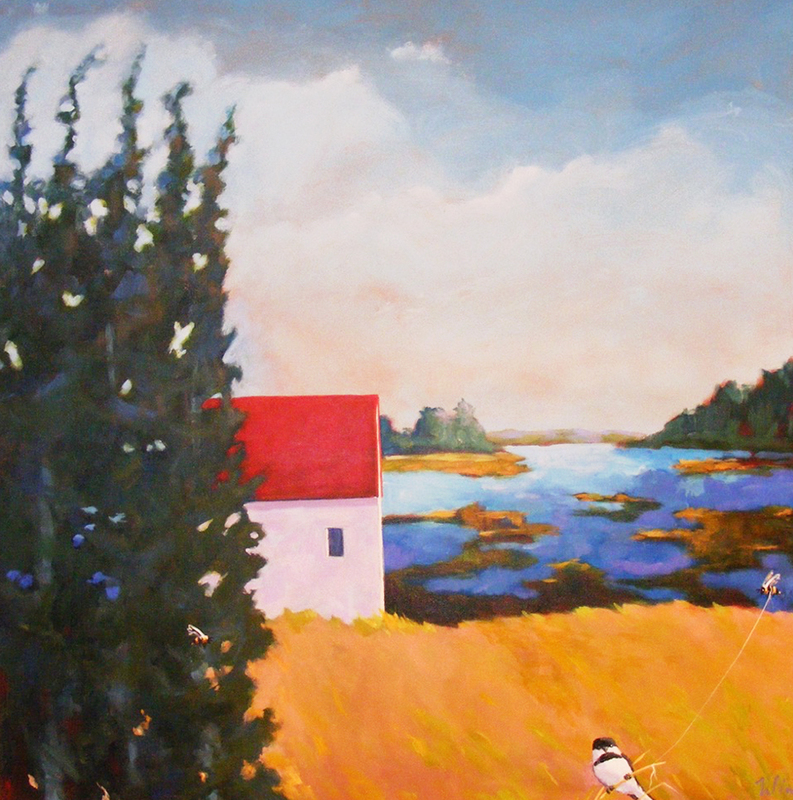 Her acrylic work is exhibited at Hole in the Wall Studioworks in Raymond, Maine, The Field Gallery on Martha’s Vineyard, and Elizabeth Moss Galleries in Falmouth, Maine.